1 PhD and 5 MSc completed. The team´s research has been supported by European, FCT and bilateral projects. The team has participated in the organization of 5 conferences and workshops and 3 national training courses. A significant participation in the scientific and technical activities of European Union Technology Platforms and Networks, namely MELODI, EURADOS NERIS, EURAMET and COST ACTIONS CM1105, TD1004 has also taken place. During 2017 the team has also prepared and submitted several common projects under calls from EC, FCT, CERN-FCT, and Horizon 2020. Copper plays a critical role for cancer development and progression, and multiple copper isotopes are explored for cancer imaging and therapy. Studies using the simpler ionic form of a medically relevant copper radioisotope, 64Cu, have been conducted with promising results for prostate cancer theranostics. High levels of 64CuCl2 uptake were observed in prostate cancer cells, which might correlate with the different expression of native copper cellular transporters exhibited by those cell lines. The biological effects of exposure to 64Cu were also assessed using the γ-H2AX assay, evidencing higher early DNA damage in tumoral cells. 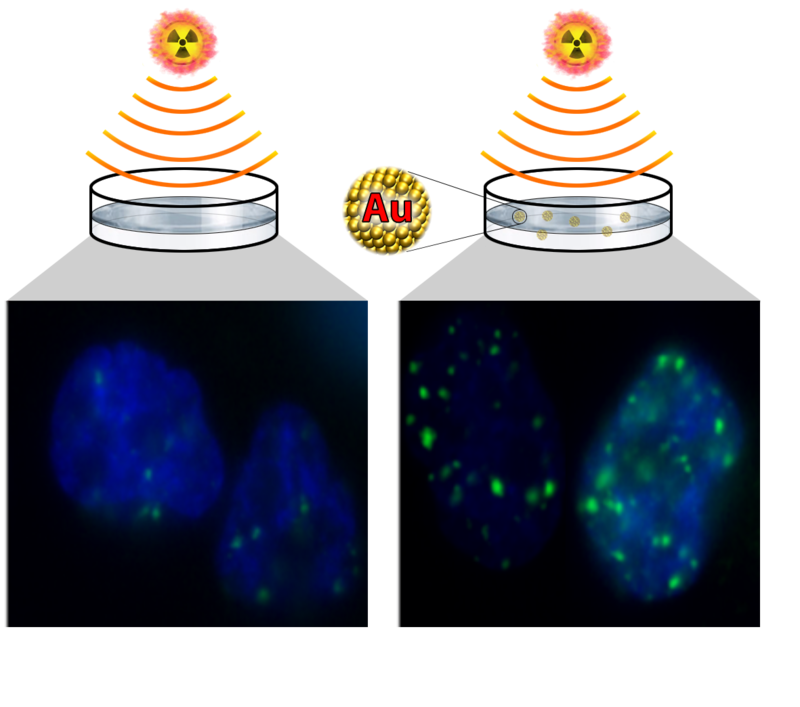 C2TN researchers introduced multifunctional gold nanoparticles (AuNPs) decorated with bombesin (BBN) peptide analogues to target the gastrin releasing peptide receptor, which is overexpressed in a variety of human tumors including prostate cancer. These AuNPs can be armed with imaging capabilities and show an augmented uptake in human PC3 prostate cancer cells. These favourable features pinpointed their potential relevance as multimodal radiosensitizing agents within a theranostic approach of prostate cancer. 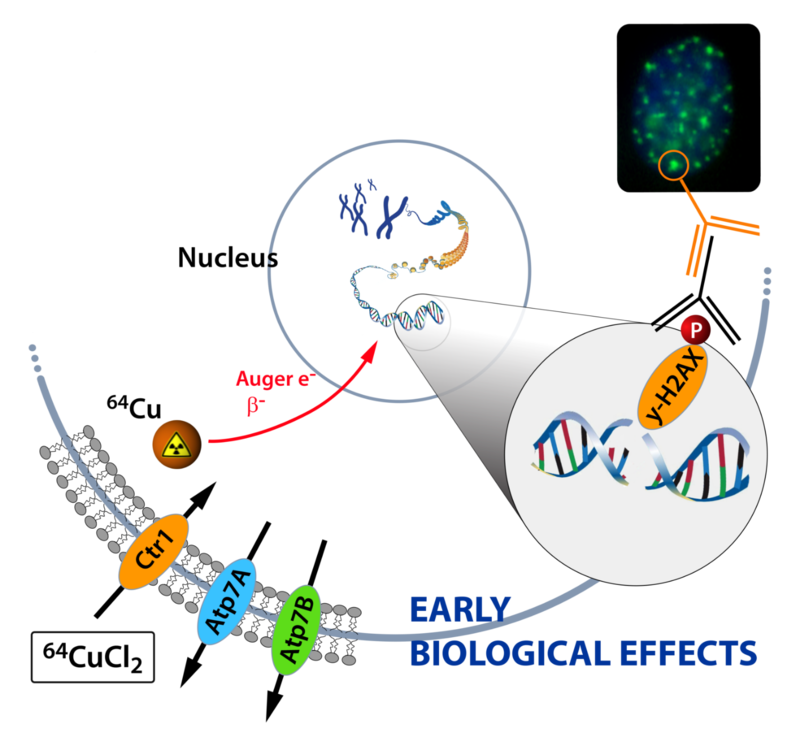 In vitro cellular studies demonstrated that the AuNPs carrying the BBN peptide possess enhanced radiosensitization properties when compared with the same nanoplatforms without the peptide. Altogether, these data corroborate the promising potential of BBN-containing AuNPs as multimodal tools for targeted cancer theranostics. Computational voxel phantoms are models of the human anatomy used in the field of radiation protection, medical imaging and radiotherapy that enables evaluation of organ doses with a high degree of precision. In this field, a FORTRAN-based program was developed to semi-automatically modify the volumetric information of organs of interest in a standard voxel phantom (i.e. ICRP standard). Monte Carlo simulations were used to mimic CT scan conditions and assess organ dose in ICRP standard phantoms and in modified phantoms matched to patients’ size and overall anatomy. The modified phantoms allowed an increased accuracy in organ dose estimation, which can suffer from up to 20 % underestimation and 40 % overestimation using the standard phantoms. In summary, the voxel phantoms developed using single patient data provide more precise organ dose assessments, towards a personalized patient dosimetry.